Come along and learn all there is to know about this irresistible pairing at our Steak & Wine Master-class, where we will be offering a gastronomic crash course from the establishment’s expert suppliers before they enjoy a sumptuous three-course meal using the restaurant’s best produce. Learn about the different cuts of the cow, how meat is sourced and the importance of grazing land alongside the importance of paring these different cuts of meat with different types of wine from a selection of vintages from a selection of French, Italian and New world offerings. After talking and tasting we will be offering a delicious three-course meal prepared by the head chef at The River Bar Steakhouse. 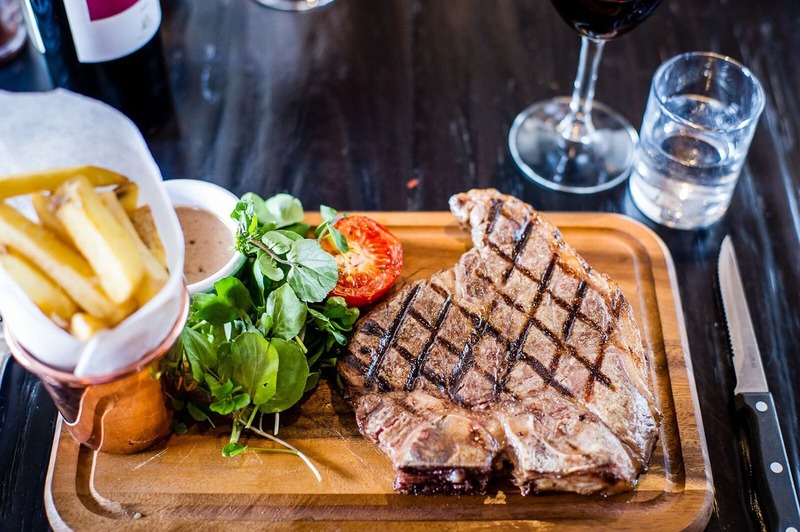 You will be able to choose your favourite cut – whether it be a delicate and tender fillet, a succulent sirloin, rich rib-eye or juicy rump – enjoying them perfectly cooked and paired with Bancroft Wines’ select recommendations or the wine that most fits. Places at the tasting master-class are limited at £55 per person, which includes a three-course meal and wine. Places can be booked by emailing res@riverbarsteakhouse.com or calling 01223 30 70 30. The event starts from 6.30pm with a welcome drink followed by tasting at 7pm.